Check if the fan is connected to a fan-specific electrical box. Only install fans with boxes meant for fans, not for light fixtures. Check to make sure blades and blade irons are an even distance from the ceiling. Put one end of a paint stirring stick on the ceiling and mark the distance to the tip of the iron and then to the blade. Do the same for each blade of the fan, and compare the results. If there is a difference, make adjustments. Balance the blades. Balancing kits are available at your local hardware store, or you can tape coins to the fan blade as weights. 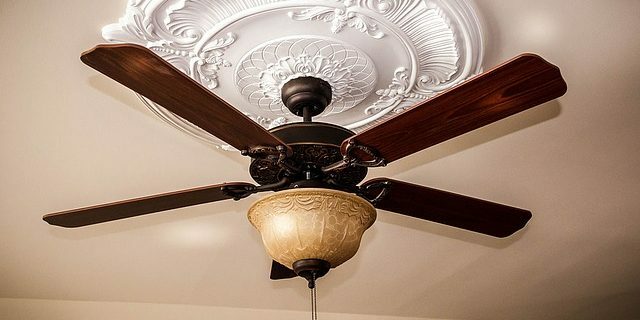 Use these simple tips to stop the wobble in your ceiling fan before it becomes a danger to your house and your family.